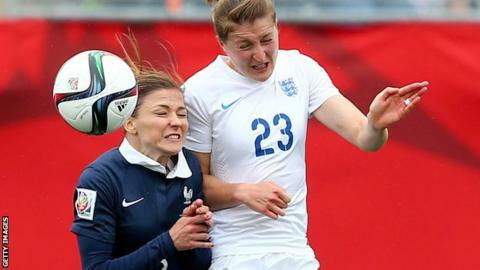 England women's forward Ellen White has returned to the squad for their next two European Championship qualifiers. Defender Amy Turner and midfielder Jo Potter also return but there is no place in the 23-player squad for Jodie Taylor and Isobel Christiansen. England face Belgium on Friday, 8 April (19:55 BST) and Bosnia & Herzegovina on Tuesday, 12 April (15:00). The Lionesses, fourth in the world rankings, have a 100% record in their Euro 2017 qualifying campaign. They came third at the SheBelieves Cup this month after defeats by the USA and Germany and a draw with France.